Many years ago my mother sat back in her music survey class as a troupe of Suzuki violinists marched into the classroom. She had never seen anything like it. In particular one very cute and petite Asian girl caught her attention. 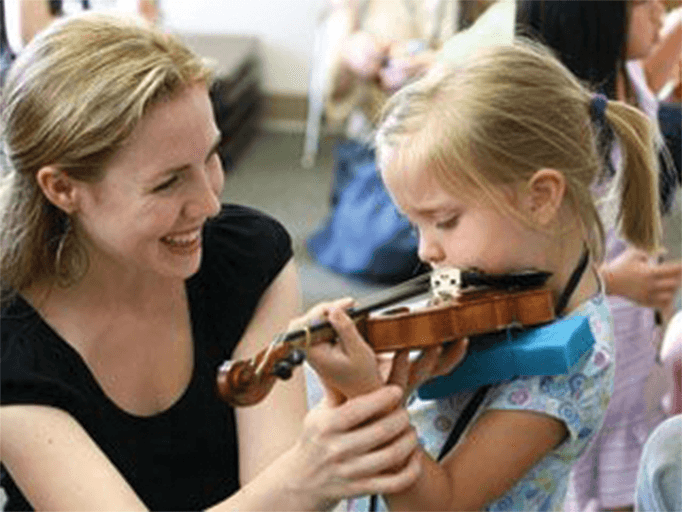 As she watched, a voice came to her: “When you have a little girl, they should do that.” My mother never forgot the words God had spoken to her, and when I turned five, my mother began my studies in the violin. To understand the power of that moment, you have to know my mother’s background. She was raised in the sticks, in one of the most backwater corners of Oklahoma. Some of her neighbors didn’t get electricity till the 70s! But as her life unfolded with one divine appointment after another, my mountain-raised mother found herself studying in Oklahoma City with some of the nation’s best voice teachers. Years later, she shepherded me and my siblings to the Juilliard School where we studied string instruments. My mother lived a journey few get to travel. Most parents long to give their children a first-class musical education. They hear their child play a fragment of a melody or share a few moments of lovely singing and recognize a gift. But like a stranded traveler, they have no way of getting from where they are to where they need to be. That’s why we’ve created the Annie Moses Method, an online music curriculum that brings the pedagogy of Juilliard to the parents of Main Street America. In a series of high quality and easy-to-understand videos, I map out the core techniques and practice habits that are all too often locked behind the doors of academia. As I look into the camera I imagine myself speaking to a parent like my mother many years ago: someone with a passion for music who needs a way from here to there. Making that way straight is the mission of Annie Moses Foundation.